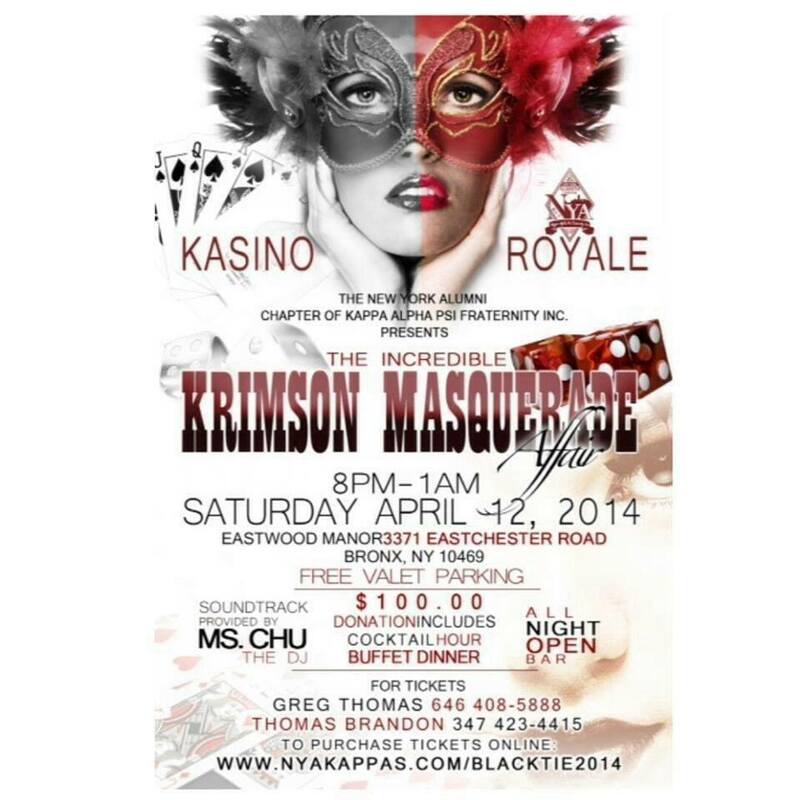 The New York Alumni Chapter Of Kappa Alpha Psi Fraternity Inc. presents The Incredible Krimson Masquerade Affair – Kasino Royale. 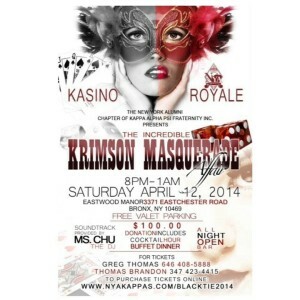 Soundtrack provided by Ms Chu The Deejay…Saturday, April 12, 2014. Get your tickets TODAY! !